Get to know Spain in just eight days on this tour from Madrid to Toledo and Andalusia's most famous cities: Cordoba, Seville, Costa del Sol and Granada! You’ll visit beautiful sites like the Great Mosque of Cordoba, UNESCO World Heritage-listed Alhambra Palace, the Generalife Gardens and Seville's Alcazar, and you’ll hear interesting commentary from your expert guide along the way. Enjoy sightseeing tours of Granada and Toledo and have free time in Seville and Costa del Sol to explore the cities at your own pace! Enjoy an 8-day tour from Madrid to some of Spain’s most beautiful cities. Visit Toledo and explore the Andalusia region, the legendary country of Don Quixote, with visits to Cordoba, Seville, Costa del Sol and Granada. Enjoy guided tours of Cordoba, where you’ll see the Great Mosque and Jewish Quarter; Seville, where you’ll visit the Santa Cruz quarter and the famous Alcazar; and Granada, where you’ll admire UNESCO World Heritage-listed Alhambra Palace and the Generalife Gardens. Admire the beautiful coastline of Costa del Sol and discover the Imperial City of Toledo, a UNESCO World Heritage City and the hometown of painter El Greco. You’ll also enjoy free time in Seville and Costa del Sol to explore more at your leisure. Learn more about the Spanish culture with optional activities like a traditional flamenco dance performance in Seville or a walking tour of Cordoba's old quarter (own expense). 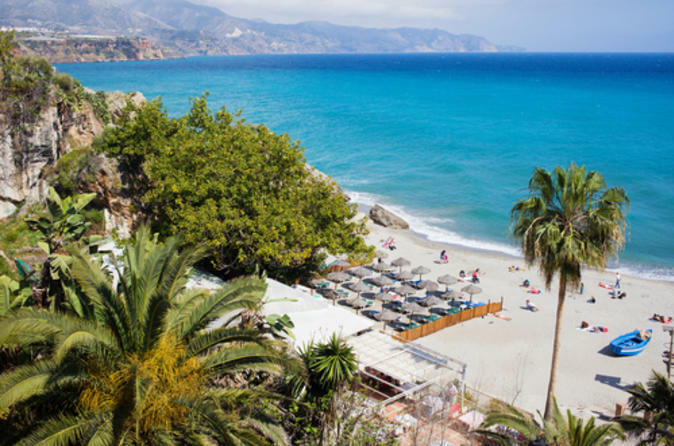 Throughout your trip, you'll stay in great locations, such as the seaside Melia Costa del Sol Hotel in Costa del Sol, and try typical Andalusian dishes like paella (rice and vegetables/meat). Seven nights of accommodation in superior hotels, seven breakfasts and seven dinners are included.